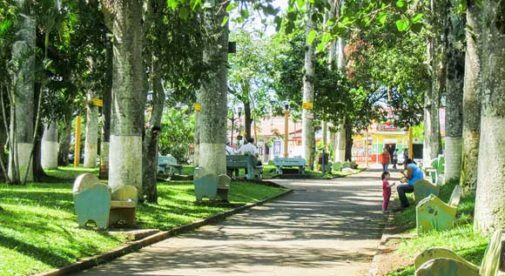 Five years ago, Diana and her husband, Lance Turlock, moved to picturesque Atenas—a serene farming village surrounded by mountains in Costa Rica’s Central Valley. At about 3,200 feet above sea level, temperatures generally stay in the 70s F year-round. For the couple, life is filled with pleasures found in living simple–enjoying fresh local coffee in the morning and having plenty of free time during the day to pursue their hobbies. The new lifestyle also agrees with their budget and they spend much less on living expenses in Costa Rica than they did in Vancouver. In Canada the rent for the couple’s unfurnished home was over $1,000, without utilities. In Atenas they rent a small furnished home and pay $800 a month, which includes electric, cable, and high-speed internet. Diana worked for many years with the Canadian Coast Guard, taking early retirement. Lance was a patent agent, and before leaving for Costa Rica he figured out a way to take his income on the road. Diana and Lance live a simple, yet enjoyable life in Costa Rica’s Central Valley. The internet is quick and reliable in Costa Rica, making it an ideal location for anyone who works online. 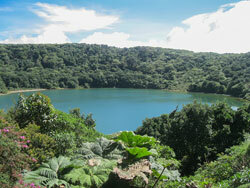 Lance has found he can continue servicing his clients in Costa Rica the same as if he were in Canada. After moving to Central America, Diana found the time she finally had time to pursue a passion she had since childhood—painting. She is involved with other local artists and together they have created the Atenas Painters Association. The agriculture community where they live is peaceful and full of wild, exotic animals. Colorful parrots and squirrel-like agoutis regularly visit their home, the perfect subjects for Diana’s paintings.